Blacks kill white farmers and than starve to death, is this news? Wasn’t all this predictable once the USA worked to end apartheid? IMHO, This should serve as a good example of what will happen to Europe and the US if we continue to let in people with this repute. (Muslims, Blacks and Mexicans). I want to thank you all for coming today. I especially want to thank our esteemed speakers for traveling, in some instances quite a long way, to be with us today. Our speakers are courageous individuals who have gone to many of Africa’s most dangerous and desperately poor locations, not for wealth or riches, but in order to merely discover the truth. 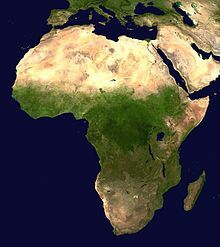 They provide us with a remarkable insight into what has gone on in Africa and what continues to go on in Africa today. Much of what you will hear today has not been widely reported in the public media. Powerful forces have fought to suppress these stories from entering the public domain. Their investigations into the activities of Western governments and Western businessmen in postcolonial Africa provide clear evidence of the West’s long-standing propensity for cruelty, avarice, and treachery. The misconduct of Western nations in Africa is not due to momentary lapses, individual defects, or errors of common human frailty. Instead, they form part of long-term malignant policy designed to access and plunder Africa’s wealth at the expense of Africa’s people. In short, the accounts you are about to hear provide an indictment of Western activities in Africa. The West has, for decades, plundered Africa’s wealth and permitted, and even, assisted in slaughtering Africa’s people. The West has been able to do this while still shrewdly cultivating the myth that much of Africa’s problems today are African made–we have all heard the usual Western defenses that Africa’s problems are the fault of corrupt African administrations, centuries-old tribal hatreds, the fault of unsophisticated peoples. But we know that those statements are all a lie. We have always known it. The accounts we are about to hear today assist us in understanding just why Africa is in the state it is in today. You will hear that at the heart of Africa’s suffering is the West’s, and most notably the United States’, desire to access Africa’s diamonds, oil, natural gas, and other precious resources. You will hear that the West, and most notably the United States, has set in motion a policy of oppression, destabilization and tempered, not by moral principle, but by a ruthless desire to enrich itself on Africa’s fabulous wealth. While falsely pretending to be the friends and allies of many African countries, so desperate for help and assistance, many western nations have in reality betrayed those countries’ trust–and instead, have relentlessly pursued their own selfish military and economic policies. Western countries have incited rebellion against stable African governments by encouraging and even arming opposition parties and rebel groups to begin armed insurrection. The Western nations have even actively participated in the assassination of duly elected and legitimate African Heads of State and replaced them with corrupted and malleable officials. Western nations have even encouraged and been complicit in the unlawful invasions by African nations into neighboring counties. Something must be done to right these wrongs. I invite you to listen and learn first-hand of the West’s activities in Africa. America’s policy toward Africa during the past decade, rather than seeking to stabilize situations where civil war and ethnic turmoil reign supreme, has seemingly promoted destabilization. Former Secretary of State Madeleine Albright was fond of calling pro-U.S. military leaders in Africa who assumed power by force and then cloaked themselves in civilian attire, “beacons of hope.” In reality, these leaders, who include the current presidents of Uganda, Rwanda, Ethiopia, Angola, Eritrea, Burundi, and the Democratic Republic of the Congo preside over countries where ethnic and civil turmoil permit unscrupulous international mining companies to take advantage of the strife to fill their own coffers with conflict diamonds, gold, copper, platinum, and other precious minerals including one that is a primary component of computer microchips. But what does this have to do with DING, and Hotel Rwanda, you ask? President Clinton has solemnly said his biggest regret was not stopping the Rwandan genocide. Really? The present turmoil in central Africa largely stems from a fateful incident that occurred on April 6, 1994. That was the missile attack on the Rwandan presidential aircraft that resulted in the death of Rwanda’s Hutu President Juvenal Habyarimana, his colleague President Cyprien Ntaryamira of Burundi, Habyarimana’s chief advisers, and the French crew. This aerial assassination resulted in a genocide coordinated by the successor militant Hutu Rwandan government that cost the lives of some 800,000 Tutsis and moderate Hutus. This was followed by a counter-genocide orchestrated by the Tutsi-led Rwanda Patriotic Front (RPF) government that resulted in the deaths of 500,000 mostly Hutu refugees in Rwanda and neighboring Zaire/Congo. Also, particularly troublesome is a conclusion the CIA is said to have reached in an assessment written in January 1994, a few months before the genocide. According to key officials I have interviewed during my research, that analysis came to the conclusion that in the event that President Habyarimana was assassinated, the minimum number of deaths resulting from the mayhem in Rwanda would be 500 (confined mostly to Kigali and environs) and the maximum 500,000. Regrettably, the CIA’s higher figure was closer to reality. Certain interests in the United States had reason to see Habyarimana and other pro-French leaders in central Africa out of the way. As recently written by Gilbert Ngijol, a former Assistant to the Special Representative of the Secretary General of the UN to Rwanda in 1994, the United States directly benefited economically from the loss of influence of French and Belgian mining interests in the central Africa and Great Lakes regions. Immediately after the attack on the presidential plane, much of the popular press in the United States brandished the theory that militant Hutus brought it down. I suggest that following some four years of research concentrating on the missile attack, there is no basis for this conclusion. In fact, I believe there is concrete evidence to show that the plane was shot down by operatives of the RPF. At the time, the RPF was supported by the United States and its major ally in the region, Uganda. Prior to the attack, the RPF leader, the current Rwandan strongman General Paul Kagame, received military training at the U.S. Army Command and General Staff College at Fort Leavenworth, Kansas. Many of Kagame’s subordinates received similar training, including instruction in the use of surface-to-air missiles (SAMs) at the Barry Goldwater Air Force Range at Luke Air Force Base, Arizona. It was Soviet-designed SAMs that were used to shoot down the Rwandan president’s airplane. By its own admission, the U.S. Defense Department provided official military training to the RPF beginning in January 1994, three months before the missile attack on the aircraft. One of the major goals of the Rwandan-backed Rassemblement Congolais pour la Democratie (RCD), a group fighting the Kabila government in Congo, is restoration of mining concessions for Barrick Gold, Inc. of Canada. In fact, the rebel RCD government’s “mining minister” signed a separate mining deal with Barrick in early 1999. Among the members of Barrick’s International Advisory Board are former President Bush and former President Clinton’s close confidant Vernon Jordan. Currently, Barrick and tens of other mining companies are stoking the flames of the civil war in the Democratic Republic of the Congo. Each benefits by the de facto partition of the country into some four separate zones of political control. First the mineral exploiters from Rwanda and Uganda concentrated on pillaging gold and diamonds from the eastern Congo. Now, they have increasingly turned their attention to a valuable black sand called columbite-tantalite or “col-tan.” Col-tan is a key material in computer chips and, therefore, is as considered a strategic mineral. It is my hope that the Bush administration will take pro-active measures to stem this conflict by applying increased pressure on Uganda and Rwanda to withdraw their troops from the country. However, the fact that President Bush has selected Walter Kansteiner to be Assistant Secretary of State for African, portends, in my opinion, more trouble for the Great Lakes region. A brief look at Mr. Kansteiner’s curriculum vitae and statements calls into question his commitment to seeking a durable peace in the region. For example, he has envisaged the splitting up of the Great Lakes region into separate Tutsi and Hutu states through “relocation” efforts and has called the break-up of the DRC inevitable. I believe Kansteiner’s previous work at the Department of Defense where he served on a Task Force on Strategic Minerals and one must certainly consider col-tan as falling into that category — may influence his past and current thinking on the territorial integrity of the DRC. After all, 80 per cent of the world’s known reserves of col-tan are found in the eastern DRC. It is potentially as important to the U.S. military as the Persian Gulf region. Over the course of 100 days, almost one million people were killed in Rwanda. The streets of the capital city of Kigali ran red with rivers of blood, but no one came to help. There was no international intervention in Rwanda, no expeditionary forces, no coalition of the willing. There was no international aid for Rwanda. Rwanda’s Hutu extremists slaughtered their Tutsi neighbors and any moderate Hutus who stood in their way, and the world left them to it. There is also reason to believe that a number of people with knowledge of Kagame’s plot against the presidential aircraft have been assassinated. These possibly include Tanzania’s former intelligence chief, Major General Imran Kombe, shot dead by policemen in northeastern Tanzania after he was mistaken for a notorious car thief. His wife maintains he was assassinated. Kombe had knowledge of not only the planned assassination of the Rwandan and Burundian presidents but a plot against Kenya’s President Moi and Zaire’s President Mobutu, as well. There is a belief that Roman Catholic Archbishop of Bukavu, Emmanuel Kataliko, was assassinated last October in Rome by members of a Rwandan hit team acting on orders from Kagame. Other Tutsi and Hutu leaders who oppose Kagame’s regime continue to flee Rwanda to the U.S. and France in fear of their lives. Rwanda’s figurehead Hutu President Pasteur Bizimungu was forced to resign last year under pressure from the only power in Rwanda, his then-Vice President, Paul Kagame. Deus Kagiraneza, a former intelligence officer in Kagame’s Military Intelligence Directorate (DMI), interim Prefect of the Ruhengeri province, and member of the Parliament, is now in exile in Belgium. He charges that Kagame’s top government and military are responsible for torturing and executing their political opponents. Kagiraneza maintains that the RPF has pursued such policies since the time of the 1990 invasion of Rwanda from Uganda. The US took all the right decisions to allow the Rwanda genocide to unfold. And Clinton’s comment that “we didn’t know what was going on at the time” couldn’t have been a bigger lie. Do you suppose it was coincidental that a Rwanda delegate rotated on to the security council early in 1994 and then worked with US representatives to block all subsequent attempts to deal appropriately with the unfolding slaughter? Plundering poor countries, murdering innocent people, for profit, this is the American way, the only way it has ever been done. And what is left behind after the plundering of Africa’s resources? Multinational corporations– a very significant constellation of US companies and/or US citizens included, are everywhere stripping the resources, leaving pollution and disease and environmental disasters in their wakes. And you might probe into the whole classified nuclear waste transshipments programs. Nigeria, Cameroon, Gabon, Togo, Niger, Madagascar and Burkina Faso provide examples, being massively exploited, where military repression and structural adjustment and the concomitant destitution suffice to enable lucrative western control and exploitation. Zambia, Tanzania, Namibia, Botswana and Ghana are a few more examples where I have similarly witnessed profound human suffering amidst huge multinational profits and SAP. I mean, 120 years after the British invasion of western Zambia this is an area heavily burdened by refugee flows out of Angola and DRC and the concomitant insecurity of insurgent nomadic military forces — the people have absolutely no possessions. The schools don’t exist and even if they do there are no books and the kids are so destitute that they often can’t attend in any case. You can’t buy basic staples. I mean absolutely no food, no medicine, no drugs for malaria. Some 30% of people in Zambia don’t even know that malaria is caused by mosquitoes. But you can buy Coca-Cola and Sprite and Fanta virtually everywhere, but there are usually no basic foodstuffs, no books, no medical supplies. You cannot imagine the suffering until you live it yourself. In Cameroon, Benin, Burkina Faso, Gabon and Niger in 1997, I found abundant evidence of unrestricted raw materials extraction by interests associated with the United States. The people of the oil-producing areas of the Niger River Delta are suffering horrendous atrocities. Again, on the Niger border with Burkina — famine, disease, despair, political repression for the most trifling reasons — and right next door there is a Barrick Gold mining operation. And Sumitomo and the Keidanren (Zaibatsu) out of Japan are all involved. And people in these (African) countries know what is going on, but they can’t tell their stories because most westerners are completely caught up in the mental illness of colonialism and imperialism, which disallows the simple truth to be seen. And those who tell their stories are often brutalized or disappeared. With all this noblesse oblige focused on saving Africa from its misery, it seems like a good time to remember someone else who tried to make poverty history: Ken Saro-Wiwa, who was killed ten years ago this November by the Nigerian government, along with eight other Ogoni activists, sentenced to death by hanging. Their crime was daring to insist that Nigeria was not poor at all but rich, and that it was political decisions made in the interests of Western multinational corporations that kept its people in desperate poverty. Saro-Wiwa gave his life to the idea that the vast oil wealth of the Niger Delta must leave behind more than polluted rivers, charred farmland, rancid air and crumbling schools. He asked not for charity, pity or “relief” but for justice.The Movement for the Survival of the Ogoni People demanded that Shell compensate the people from whose land it had pumped roughly $30 billion worth of oil since the 1950s. The company turned to the government for help, and the Nigerian military turned its guns on demonstrators. Before his state-ordered hanging, Saro-Wiwa told the tribunal, “I and my colleagues are not the only ones on trial. Shell is here on trial…. The company has, indeed, ducked this particular trial, but its day will surely come.” Ten years later, 70 percent of Nigerians still live on less than $1 a day and Shell is still making superprofits. Equatorial Guinea, which has a major oil deal with ExxonMobil, “got to keep a mere 12 percent of the oil revenues in the first year of its contract,” according to a 60 Minutes report–a share so low it would have been scandalous even at the height of colonial oil pillage. This is what keeps Africa poor: not a lack of political will but the tremendous profitability of the current arrangement. Sub-Saharan Africa, the poorest place on earth, is also its most profitable investment destination: It offers, according to the World Bank’s 2003 Global Development Finance report, “the highest returns on foreign direct investment of any region in the world.” Africa is poor because its investors and its creditors are so unspeakably rich. I got onto permanentlyindignant.com from http://permanentlyindignant. com/2006/03/14/hello-world/ and I gotta state, you have a sleek blog layout. not to mention offers a great deal of quality content. Thanks for your kind words. I started it in 2006 but unfortunately let it go without many updates since then. I plan on posting regularly going forward so please check in anytime! Thanks.